Shadow rugs are hand woven in China and are fully machine washable. This heavy weight range has a lovely soft 6cm long 100% acrylic pile, the backing is woven. 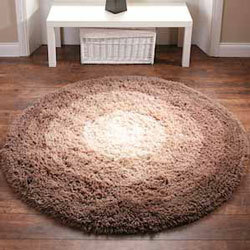 Shadow rugs are made in round or oval.